"Making a difference in the lives of Houston's homeless while improving both adult & juvenile literacy." Dr. Glenn Toby, original ground breaking pioneer of Hip Hop and proud New York native, through the Houston Chapter of his non-profit Organization, The Book Bank Foundation, is hosting several Launch Day events to celebrate the non-profit’s expansion into Houston. On Friday March 18 starting at 7:00 pm, Dr. Toby will be presented with the key to the city of Houston from Honorable Mayor Sylvester Turner and joined by several local and nationally recognized officials to inaugurate the Houston Chapter of The Book Bank Foundation at Barnes & Noble, 7626 Westheimer Rd., Houston, TX 77063. On Saturday morning, the festivities continue at 9:00 am with the community cleaning initiative, One Block At A Time at Japhet Creek Nature Park in Historic Fifth Ward, followed by an exclusive book reading & signing of "Lil G Faces The Brooklyn Bully" by Dr. Glenn Toby at Barnes & Noble, 7626 Westheimer Rd, Houston TX 77063 at 12 noon. Donations from this event will directly go to illiteracy and homeless programs that benefit the local community. 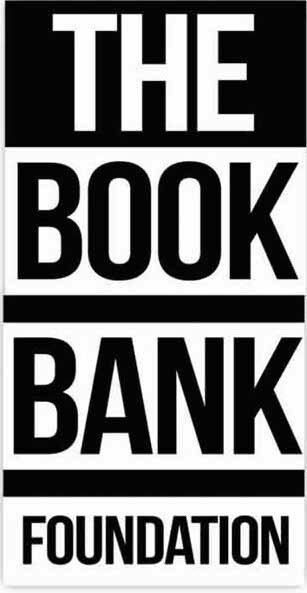 The Book Bank Foundation was created by Dr. Toby to help the indigent community with literacy matters, anti-bullying campaigns, health awareness, abuse, homelessness and hunger. The Book Bank Foundation is changing the community by providing mentoring, counseling, positive behavior reinforcement, and investments into those that would go primarily unnoticed in the Houston area. Its founder, Dr. Glenn Toby directed and produced his first film, a documentary called S.T.O.P. Solutions To Overcoming Poverty that will screen midyear of 2016. Dr. Glenn “Sweety G” Toby’s personal experience of being homelessness compelled him to be an advocate for the silent victims of socio-economic communities throughout the United States and soon the world. To RSVP for any launch events, and/or to make a donation to the Book Bank Foundation – Houston Chapter, please visit thebbf.org and link:https://www.eventbrite.com/e/launching-of-the-book-bank-foundation-houston-chapter-tickets-21703861835. The Official Launch of The Book Bank Foundation Houston ChapterMaking a difference in the lives of Houston's homeless while improving both adult and juvenile literacy.